In our previous bulletins on the duties and responsibilities of directors we looked at the extent of these obligations both from a general point of view1 and in certain specific situations2. These initial articles sought to simplify the norms that govern the work of directors, and to illustrate how they apply in specific contexts. We have already identified some of the risk zones directors have to contend with3. These zones contain pitfalls that must be avoided in conducting the day-to-day business of an organization. It is however extremely difficult to do this effectively if prevention and monitoring measures are not in place. That is the raison d’être of compliance programs4. The benefits of compliance programs are manifold, and their key components are easy to understand. However, it is important to avoid certain pitfalls when designing such programs. The primary benefit of a compliance program is avoiding contraventions of the law. An organization is made up of a multitude of individuals acting on its behalf. Their decisions and actions can render not only themselves liable, but also the organization that employs them or who they represent as agents and mandataries. The same goes for directors who fail to ensure that appropriate measures are in place to prevent illegal behaviour. Their degree of fault will be that much greater if it is shown that they were passive in the face of recurrent contraventions and failed to take corrective measures. The existence of a compliance program will allow it to be shown that the directors were not passive and that the organization had rules of sound corporate practice in place. It will then be possible to demonstrate that the contravention was a delinquent act, an anomaly in the conduct of the organization’s affairs. Such a demonstration can serve to convince regulatory authorities not to take legal actions against the organization and its directors, or at least lead to a reduction in the penalty or in the amount of any damages claimed. These same benefits can be lost if allegations or lawsuits are brought by third-party victims. Having a compliance program in place helps being able to prove due diligence, as discussed in our previous bulletins. But merely creating a compliance program on paper is not sufficient for it to be an effective shield against legal action. It must be adequately conceived and properly applied. Otherwise, it is merely a screen that will provide no comfort level and resist not even a cursory examination. We have prepared the following summary of the principal components of a compliance program. 1. Identify the risk zones specific to the organization (norms to be complied with) and devise an organizational process for preventing any contravention of these norms. the monitoring system and the rules that targeted staff members must respect in order to meet statutory requirements. promote the implementation of a monitoring system (including the designation of an individual responsible for its application – the monitor – and a whistle-blowing mechanism for instances of non-compliance). impose disciplinary sanctions in the event of non-compliance. Implementing an effective compliance program requires time and resources. It must also be stress-tested and adjusted if inadequacies are detected or improvements are possible. We have too often seen compliance program developed by organizations and ultimately shelved without being implemented or applied as they should have been. Generally this is due to a lack of interest or follow-up on the part of senior management, including the board of directors. A compliance program can only be successful if senior management is the catalyst for it, an illustration of the adage “Tone at the top”. However, it is essential that the employees concerned are directly involved in the program’s development and that their comments are taken into account in order to improve the program. It must always be borne in mind that a compliance program must be viewed as a management tool closely tied and tailored to the reality of those on the ground. Not taking their views into account could well render the program sterile. In a forthcoming bulletin, we will expand on the pitfalls to be avoided and the approaches to take in developing a compliance program that will foster a culture of compliance. Danielle Ferron, Ad. E., is a partner at Langlois lawyers specializing in civil and commercial litigation, an area she has worked in for over 25 years. She has special expertise in matters involving fraud, theft of trade secrets, signal piracy and cybercrimes. In addition, her professional career path and experience as member of various boards of directors and governance committees have made her a trusted advisor on corporate governance. In addition to being co-chair of the board of directors of Langlois lawyers and a member of its executive committee, Danielle also sits on the board of La Financière agricole du Québec and on its governance, ethics, and human and information resources committee. She is also a member of the board of directors and corporate secretary of the Fondation Marie-Vincent and sits on its governance committee. 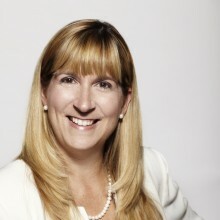 Previously Danielle served for ten years on the board of directors of the Association of Quebec Women in Finance, and for several of those years was vice-chair of its executive committee. Tommy Tremblay is a partner at Langlois lawyers. His practice encompasses every aspect of commercial litigation but is focussed more specifically on the business governance sector (in particular, on matters related to directors’ and officers’ liability), competition law, securities and white-collar defence, including administrative investigations and interactions with regulatory agencies on these matters. Tommy advises directors and officers regarding ethical corporate governance practices, specifically with respect to their duties and obligations towards various groups impacted by their decisions (shareholders, creditors, employees) and the obligations imposed on them by law. Tommy also helps develop compliance programs that make it possible for companies to verify whether their employees and management are respecting statutory rules and exercising due diligence in regards to their organization’s activities. He frequently assists clients in connection with investigations led by regulatory agencies and helps to set up internal investigation protocols. Tommy has for several years acted as a trainer in the university certification program in corporate governance offered by the Collège des administrateurs de sociétés. 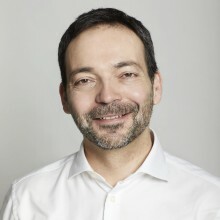 He sits on the Executive Committee of the Canadian Bar Association – Québec Branch as Treasurer and was recently elected Chair of the National Executive Committee of the CBA’s Business Law Section. He also serves as president and a director of the not-for-profit organization Avenir Parc La Fontaine. 4 These prevention and monitoring measures can be in various forms, such as: internal policy, monitoring procedure, protocol or, finally, a compliance program. We have chosen the latter term to identify this kind of good governance measures, as (1) the word “program” calls to mind a series of predetermined tasks to be performed to achieve a specific result, and (2) the term “compliance” refers specifically to the importance of complying with certain norms in order to avoid sanctions. 5 For example, see the agreements concluded by the Competition Bureau with Direct Energy Marketing Limited or Reliance Comfort Limited Partnership. In addition to ordering fines, Courts have also ordered the implementation of compliance programs to prevent violations to the Corruption of Foreign Public Officials Act: Her Majesty the Queen v. Griffiths Energy International, E-File No. : CCQ13GRIFFITHSENER, Action No. 130057425Q1, January 25, 2013 and Her Majesty the Queen v. Niko Resources Ltd., E-File No. : CCQ11NIKORESOURCES, June 24, 2011.